So, you’re finally ready to toss out that saggy old mattress and buy a new one. You’ve even decided what size you want and are ready to start shopping. As with many products these days mattresses come in many shapes and forms and so it is a minefield to choose which mattress is right for you and your sleeping needs. What’s worse these days you cannot turn on your TV without seeing three or four different commercials for mattresses and mattress companies. They are all quick to tell you that their mattress is the best, so how do you choose a good mattress? The mattress in a box, in essence, is what its name suggests: a full sized or even cal king mattress compressed to fit the size of a smaller, traditional cardboard box. These design wonders are basically spring-based memory foam mattresses. And since they come in an air tight wrapper, they are significantly less prone to contain harmful microorganisms. Anyone can benefit from this extremely comfortable, yet convenient vacuum packed mattress. And it’s particularly great for those who live on a top floor of an apartment building since as you guessed it… it’s pretty difficult to move a double mattress up the stairs since they likely won’t fit into an elevator. Below are our top 7 choices for the best mattress-in-a-box with a promise of comfort. This American-made 10.5″ mattress has four layers of premium materials with two firmness levels, one side being soft and the other firm. This is the first-ever Copper infused memory foam meaning a cooler and fresher sleep for you. The convoluted support foam facilitates maximum airflow into the mattress. The base support foam is designed to provide the support by ensuring proper spinal alignment and pain relief. All these layers contribute to the overall quality, comfort experience and offering impressive support for most people. It comes packed in a box, is easy to unroll and expands immediately. The mattress is available in 6 sizes, comes with free shipping and is a great buy with a 120-day trial period and a lifetime warranty. The reviews of the Layla mattress are off the chart and it’s easy to see why it’s such a favorite. Nectar: A high-quality mattress with an incredible trial period and warranty. 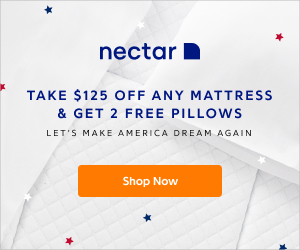 Nectar 11″ mattress features two layers of gel-infused memory foam. This layer helps to distribute weight evenly and contour the body for a comfortable night’s sleep. The top Tencel cover is breathable, soft to touch and absorbing moisture. This works better than premium cotton keeping you fresh and comfortable. This mattress is suitable for all types of sleepers and has a firm support edge to edge. So, whether you love to lie on your back, stomach or side, this mattress will deliver the comfort, thanks to its contouring and weight distribution properties. It’s stable, keeps sweat at bay if you get hot at night and you won’t need to replace it for years as it’s as robust as they come – there’s a 365-night sleep trial period available too and a forever warranty. Available in six sizes, it comes packed in a box and takes a few minutes to set up and expands completely. If you’re in search of the perfect night’s sleep and are willing to give anything a go, then where better than to start than with what you sleep on. 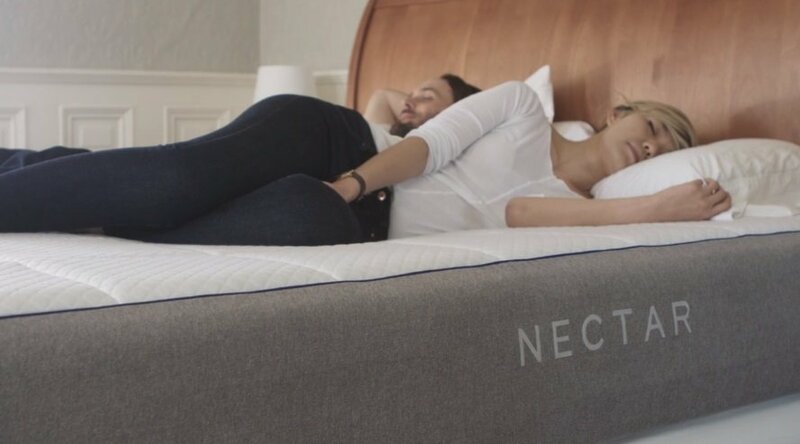 We strongly believe Nectar’s mattress will give you even more reason to stay in bed longer, now the problem is they seem to be always sold out since supply exceeds demand and the price is great too. But we reckon it’s totally worth the wait! The 10″ Bear mattress is great for those with back pain since it offers firm support with a nice touch of softness on top for comfort. Built with four layers of cooling, contouring, comforting layers of foam it’s also a great mattress for athletes since the combined use of memory and responsive foam helps you recover faster and increases your energy. We can see why Runner’s World Magazine voted it the #1 mattress for runners. The mattress provides superior spinal alignment, and if you’re worried about sleeping hot, don’t be. The top layer of Graphite-Gel Infused Memory Foam offers superior thermal conductivity which helps you sleep cool. The memory foam will help with motion transfer and the one noticeable difference in your sleep pattern with the Bear Mattress is that you’ll have less frequent wake ups throughout the night and waking up feeling ready to get up, which is a GREAT feeling. A worthy investment for a restful night and a better morning. The Bear mattress is built one-sided, so you shouldn’t have to flip it. A great advantage of the foam technology used is that it is specifically engineered to hold up during its lifetime. The mattress arrives in a box via FedEx delivered to your home and all you have to do is unroll it and watch it inflate. It comes with a 100-night risk free trial and is available in Queen, King, King Cal, Twin, Twin XL and Full. Offering a 10 year limited warranty, the Bear Mattress is worthy investment for a restful night and a better morning. 15″ Hybrid Mattress: Latex, Memory Foam, Cashmere, Tufting & Coil Technology. The 15″ DreamCloud mattress has a cashmere blend topper which combines softness and breathability, a great choice of mattress for hot sleepers. This super-comfy mattress features top-quality materials that are safe for your skin. 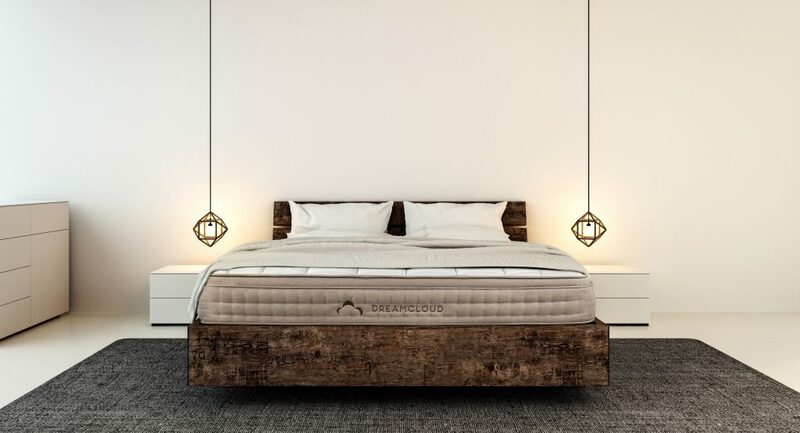 More to this, DreamCloud is a luxury hybrid mattress thus combing the best latex, memory foams, tufting and coil technologies throughout it’s 8 hand constructed layers, to provide the best sleep money can buy! The mattress is designed to provide the support you need while reducing motion transfer and is a great choice of bed-in-a-box mattress for couples. It supports people of all shapes and sizes and is great for all sleeping positions. The multiple layers of high-density memory foams works together to support the body regardless of the position you take. The micro-coil system ensures a stable base for ultimate comfort and support. This mattress comes in a box and is super easy to unwrap. A great price for such a top-quality memory-foam mattress, backed by an impressive “Everlong Warranty” and a 365-night trial. Available in sizes twin, twin XL, queen, full, king or cal king. 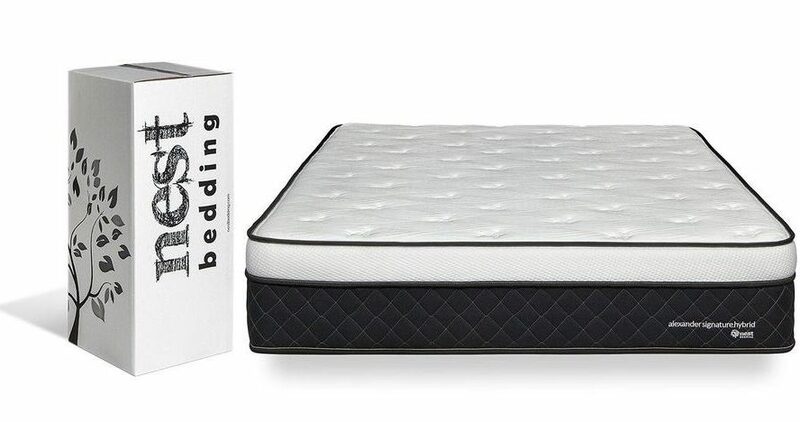 This is another USA made luxury bed-in-a-box mattress that can be purchased online and offers the perfect combination of pocket coils and memory foam. This design makes this 13.5″ mattress one of the best in the support and comfort it offers. It combines five layers of quality materials to ensure you sleep comfortably without worrying about replacing your mattress in years to come. This mattress is super comfortable contouring to the body providing great spinal support for all body types, thanks to its combination design and premium materials, the top is breathable to ensure you sleep cool. The top layer of convoluted foam encourages air-flow for a cooler nights sleep by wicking away excess moisture and the heat away from your skin for a restful night. With a quick and painless online purchase, the mattress comes compressed and rolled up into a tall rectangular box for easy transportation, perfect for small spaces or compact corridors found in most apartment buildings. It is available in a massive range of sizes and you can also choose your level of firmness from plush, medium or luxury firm. It comes with a Lifetime Warranty and 100-night home trial. Take up the challenge and immerse yourself in luxury with the Alexander Singature Hybrid for a guaranteed better night’s sleep and try it out for yourself. 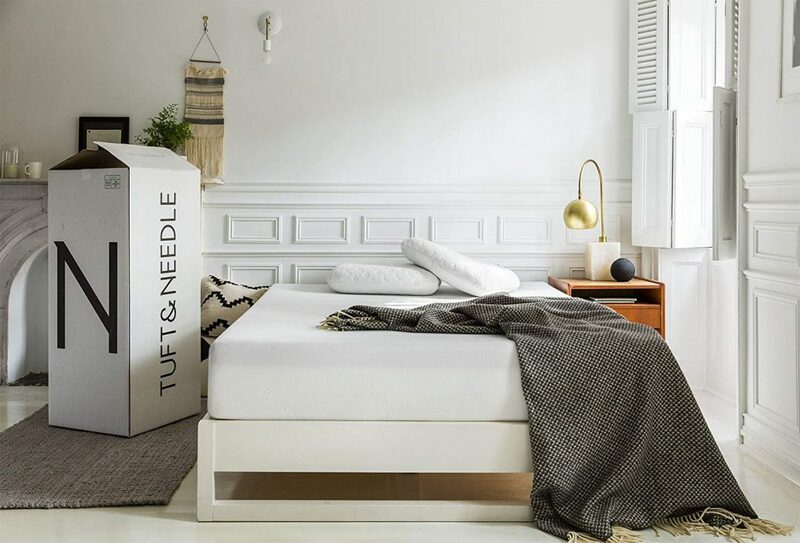 Tuft & Needle: Great pressure relief, support and cooling sleep at a great price. The 10″ Tuft and Needle mattress are made of adaptive foam which gives it a bounce while ensuring it provides the support needed. 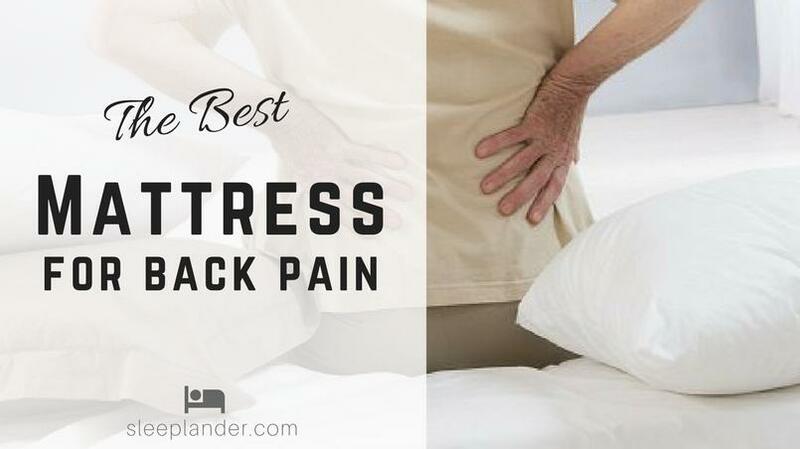 It is, therefore, suitable for people that suffer from back pains and those that have multiple sleeping positions. The high-quality memory foam is advanced to provide the comfort and if you treat it well, it should last you a decade or more. 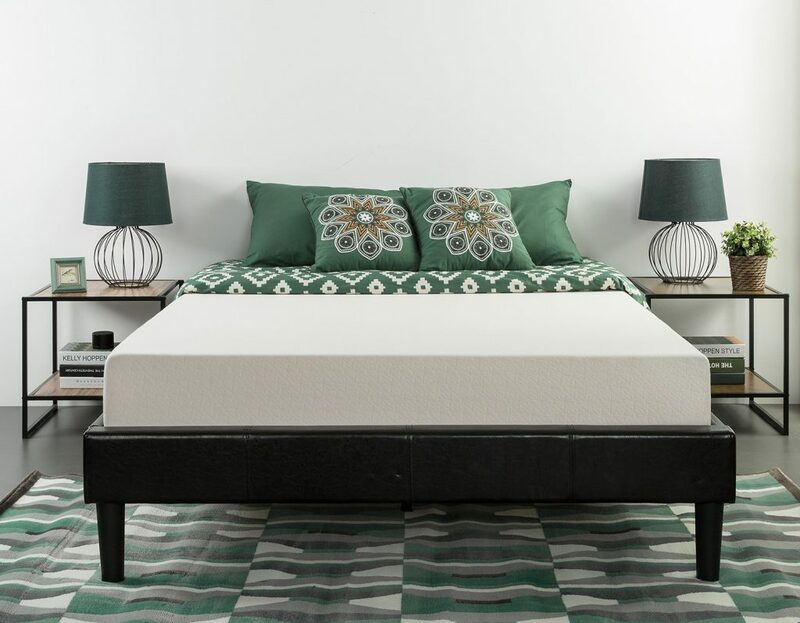 This higher-grade foam mattress is designed to keep you fresh throughout the night so it keeps sweat at bay, thanks to the adaptive foam design which is both Certi-PUR and Oeko-Tex 100 Certified. Also, it has the right firmness level to offer ample back support and a soft bounce all night. It comes compressed in a box for convenient shipping. Also, it is super easy to install and stretches out entirely in a few days. Made in the USA, it’s available in sizes Twin, Twin XL, Full, Queen, King and California King and offered at an incredible bargain price. There’s also 10-year warranty and a 100-night trial to make sure it’s right for you though. 10″ Memory Foam Pressure Relief Green Tea Mattress – It’s an absolute Bargain! The Zinus Green Tea Mattress is infused with green tea extracts to maintain freshness and offer the comfort you require to sleep sound and not constantly wake up in the night. The CertiPUR memory foam is designed to conform to your body shape ensuring you get the right support and pain relief. The four layers of foam all work together to ensure you sleep cool with proper spinal alignment supporting pressure points well. The green tea infused mattress is super breathable to ensure you wake up dry and fresh. It too comes rolled and compressed in a box and takes a few minutes to expand. The 10″ takes 5 minutes while the 12″ takes a good 30 minutes to fully expand. You can choose from either a 6″, 8″, 10″ or a 12″ mattress. The 10″ being the most popular choice with all sleepers, we reckon you’ll be happy with the firmness of the 10 since the 12″ can be a little softer for most folk. It’s available in a massive range of sizes and suits all bed foundations. Why settle for a king mattress that costs anything from $800 – $1500 when for less than $400, you get a quality and super comfortable king mattress with the Zinus mattress. If you fancy one of your own it will be the best mattress-in-a-box you’ve bought in years and plus it comes with a 10-year limited warranty for peace of mind. Although these mattresses come in a box, it doesn’t mean the quality is below average. In fact, they stand to be some of the best mattresses on the market. All feature premium materials and sturdy construction for durability. These are the top picks and there is one for every budget; hopefully, you can find a suitable one for your needs. For a great night’s sleep we recommend the universal comfort mattress from Layla which is made to suit the needs of most sleepers. If you’re working with a tight budget or are looking for a mattress for a recreational vehicle or a guest bedroom choose between Zinus or Tuft & Needle mattress both of which can be purchased at Amazon and are affordable.